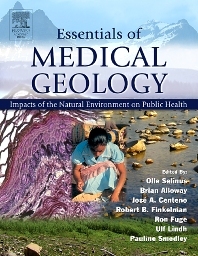 This authoritative reference volume emphasizes the importance and interrelationships of geological processes to the health and diseases of humans and animals. Its accessible format fosters better communication between the health and geoscience communities by elucidating the geologic origins and flow of toxic elements in the environment that lead to human exposure through the consumption of food and water. For example, problems of excess intake from drinking water have been encountered for several inorganic compounds, including fluoride in Africa and India; arsenic in certain areas of Argentina, Chile, and Taiwan; selenium in seleniferous areas in the U.S., Venezuela, and China; and nitrate in agricultural areas with heavy use of fertilizers. Environmental influences on vector borne diseases and stormflow water quality influences are also featured. Numerous examples of the environmental influences on human health from across the globe are also presented and discussed in this volume. Geologists, geochemists, soil scientists, hydrologists, medical practioners, toxicologists, public health workers, biochemists, veterinartians, physicists, nutritionists, environmental economists, and social scientists. Academics, professionals, and governmental policy makers from around the world. Note: Authors of individual chapters are international (approx. 20 nations).